Rich in color and touch. 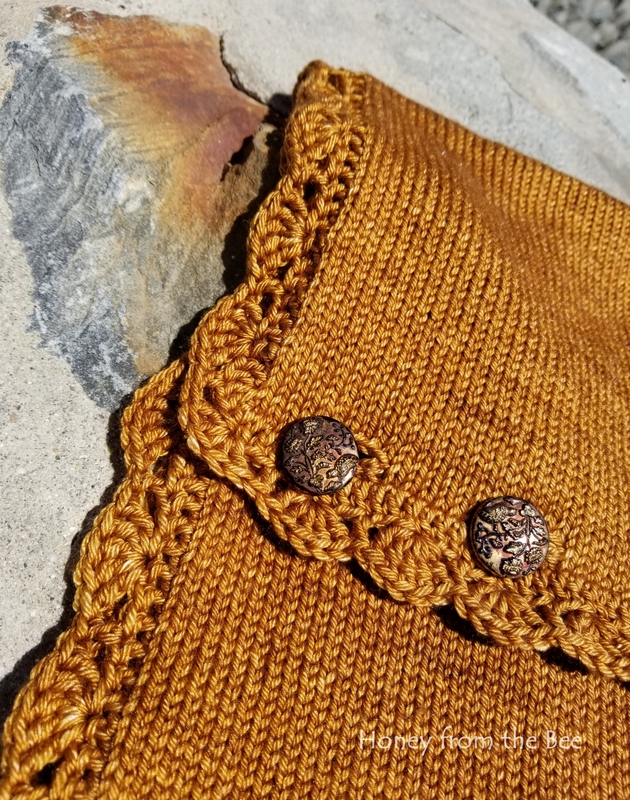 This bronze colored cowl will dress you up while keeping you warm. 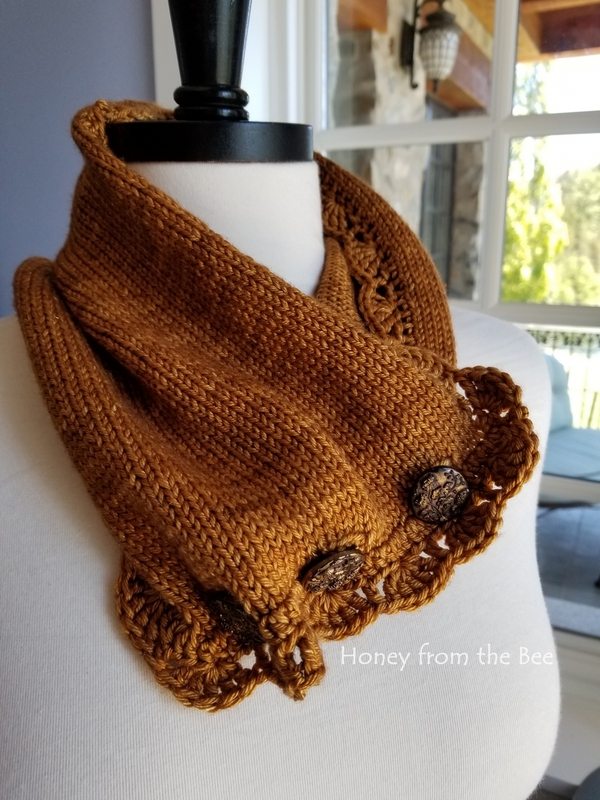 I've knitted this in a Merino Wool and Silk blend. It is very soft and drapey! A crocheted lace edging adds some texture. 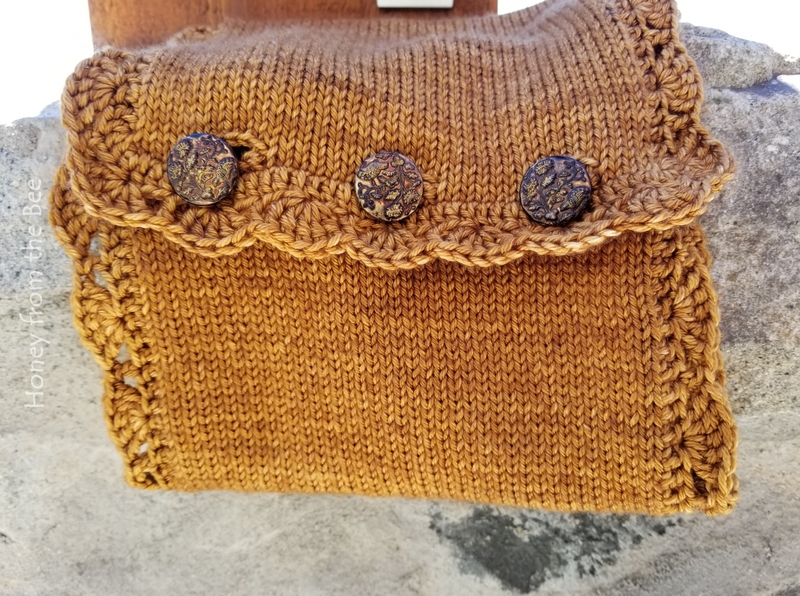 The buttons are vintage finds that have touches of bronze against a rose metallic background. They're perfect with this yarn. Fiber info: Wool was ethically sourced in Peru. Dyed in Texas. Care: Handwash in cold water and air dry flat.